Receive a free $10 gift card for every $50 gift card you purchase between 11/1/2018 and 12/31/2018! 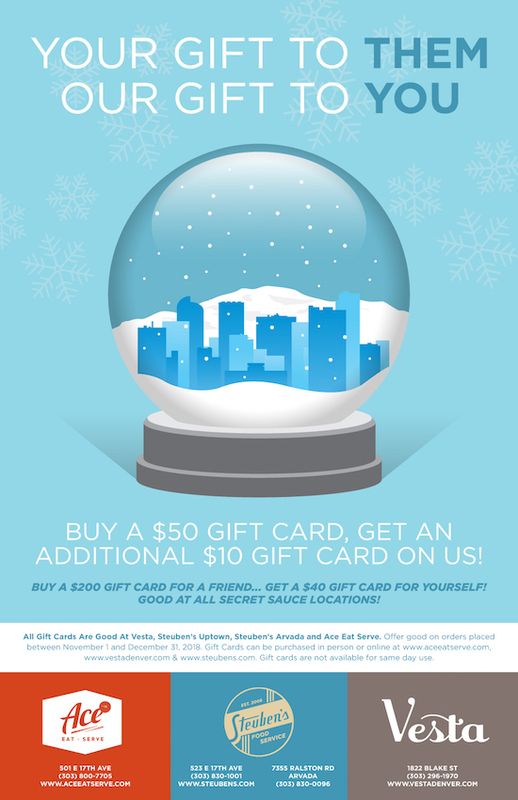 Gift cards good at all locations: Steuben’s Uptown, Steuben’s Arvada, Vesta, and Ace Eat Serve. Order your gift cards here.